Did you know FormSmarts allows you to include links on a form? You may also use bold, italic and underline for simple formatting. The wiki-like syntax is summarized here. Posted on Nov 28th, 2013 in online form. 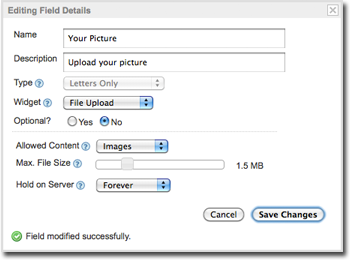 With the new file upload feature, you can now let form users attach a picture or document to a form like in this demo. 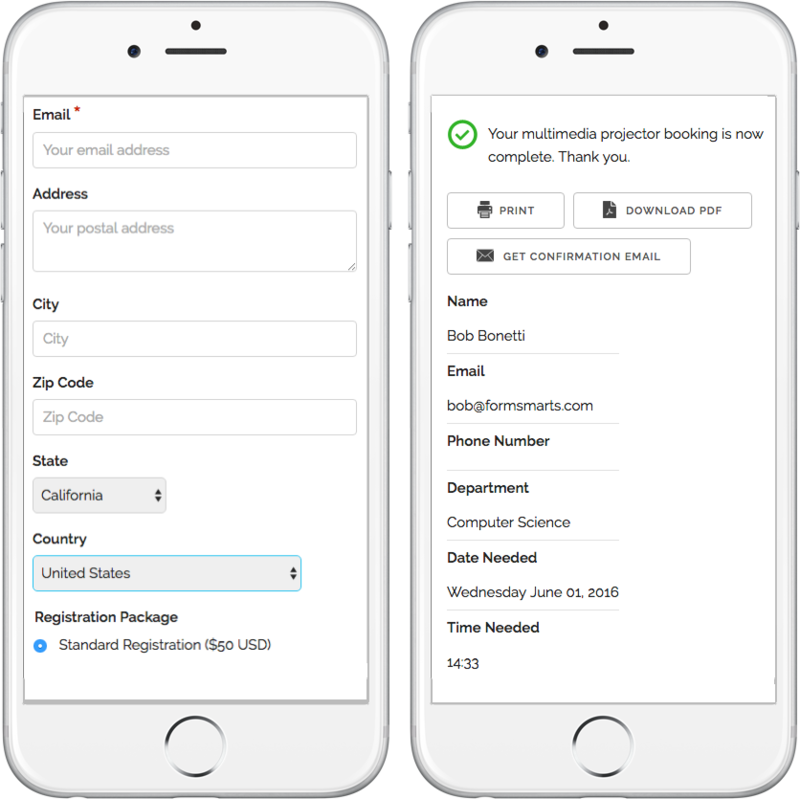 Adding a file upload widget to your forms is as easy as adding a simple text box: visit the Fields Tab of the form builder, and create a new field choosing the File Upload widget. That’s all there is to it. Once a file has been uploaded and the form confirmed, that file will be stored on FormSmarts and available to you. Although a file upload field created as just described will be fully functional, you may want to restrict the type of content the form will allow users to upload, as well as set the maximum file size permitted. You can also specify how long FormSmarts should keep uploaded documents on the server. To change these options, visit the Field Details screen of the form builder. By default, a file upload field will accept all supported content types: documents (PDF, Word, Excel, RTF, OpenOffice ODF, and HTML documents) and images (JPEG, PNG, and GIF). You can restrict the type of content the form will allow users to upload to either documents or images. For example, if you’re building a job application form, you will want applicants to upload their CV and should restrict uploads to Documents to prevent mistakes. By default, the maximum size of uploaded files is set to the maximum for your plan: 2Mb for Business Starter, 4Mb for Business Plus, 8Mb for Business Max, 10Mb for Business Premier and 12Mb for Business 3. 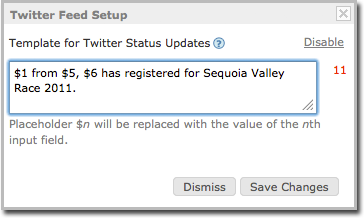 You can use the slider to change that value to whatever makes sense for the purpose of the form. While storing file attachments on the server forever gives you the most flexibility, you may then exceed your storage quota — currently 100Mb for Business Starter, 500Mb for Business Plus, 1.5Gb for Business Max, 5Gb for Business Premier and 10Gb for Business 3. You can view your current usage in the Resource Usage section of your account. We’ll send you an email if you’re getting close to or exceed the storage space for your plan. Note: Form attachments for online forms integrating with PayPal using Advanced Integration are retained for at least 20 days, even if the storage policy is set to 5 or 10 days. File upload works with FormSmarts secure form feature so that files attached to a secure form only transit via a secure connection (SSL), both when uploaded to FormSmarts and downloaded to your computer. As always, your feedback is important to us and is our primary inspiration for developing new features and improving existing ones. Posted on Jan 4th, 2011 in file upload. 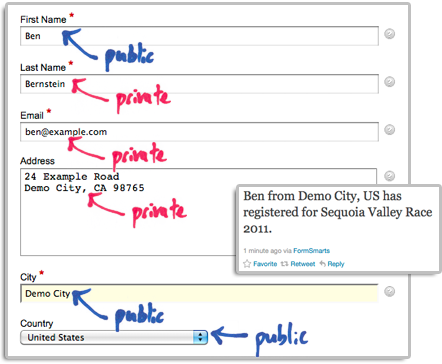 Like many FormSmarts users, you may sometimes want to customize the style of your web forms. This may be because you want the forms to match the rest of your website, or because you want a form to stand out on a web page. The form builder allows you to easily change the text and background color of your forms. Visit the Form Details screen in the Forms tab to set color preferences for a particular form. because your color settings are stored in our servers, you can change settings and see the result immediately. You don’t need to update the form embed code on your website. By default, form text is black, and form background is transparent. This should fit the needs of most users, and if you’re happy with this, you don’t need to do anything. If you do want to change a color, the easiest way is to choose one of the popular colors we’ve preselected. Just click on the color you want. If you prefer to use your own colors, you may type any valid 6-digit HTML color code directly. For example, 808080 is a shade of gray. It’s important to preserve the accessibility of your forms to visually impaired visitors, and their usability under poor reading conditions (e.g. bright sunshine). Always keep a high color contrast. You may further customize many visual aspects of a form by providing your own CSS stylesheet. 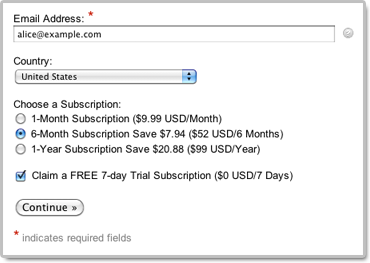 For usability reasons, we don’t recommend dramatically changing the form layout. Posted on Jul 6th, 2008 in form builder. Form ownership verification is optional but recommended to build trust with your visitors. It is required you intend to advertise a web form URL by email. Although hundreds of Google Page Creator users have successfully verified their site, we’ve had a few issues in the last few days. Google was redirecting some of the requests to googlepages.com to the same page on google.com, thus preventing us to check the verification file exists. We obviously have a limited scope for action, but we identified a likely cause and took technical measures that seem to have solved the problem. Leave a comment if you experience any more problems. Posted on Jul 2nd, 2008 in form builder.